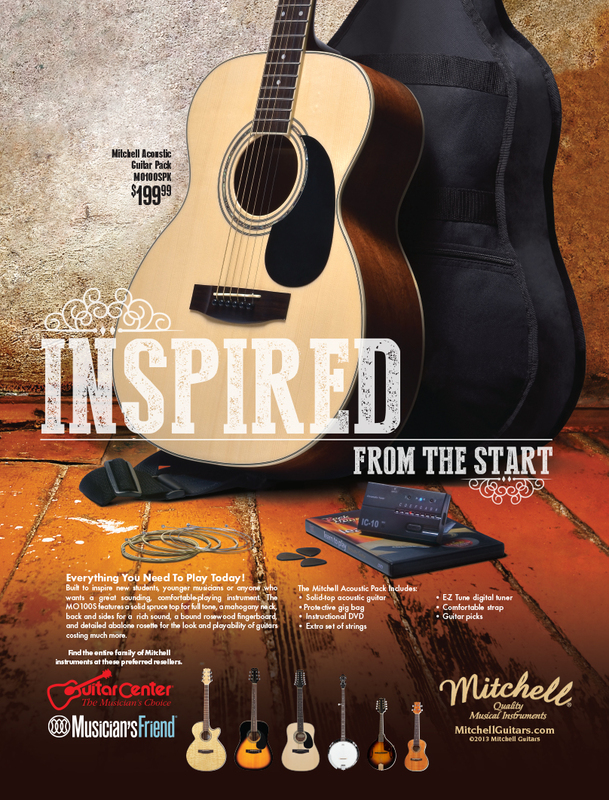 Ad for Mitchell Guitars, guitar packs. Responsibilities: Art direction of the photo shoots, working with outside photographer, retouching of image(s), page design/layout, and preparation for release. Printed in: Guitar Center Buyer’s Guide, Acoustic Guitar, and Guitar Player magazine.